SCVHistory.com MF2601 | St. Francis Dam Disaster | Walking Across Top of Dam, 1926-1928. 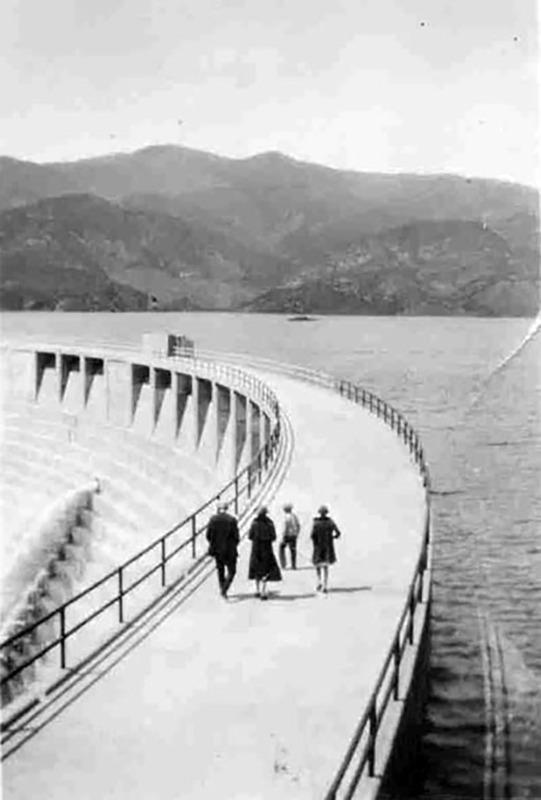 Walking across the top of the St. Francis Dam, looking west, sometime between 1926 and 1928. MF2601: : 600 dpi jpeg from 300 dpi jpeg.